The production Su-35S (photo from the first flight above) looks almost identical to the first Su-27s. It doesn’t even have the canards of the Su-30. However like its US rivals it is almost a completely new aircraft and it is one of the most capable multi-role fighters today. 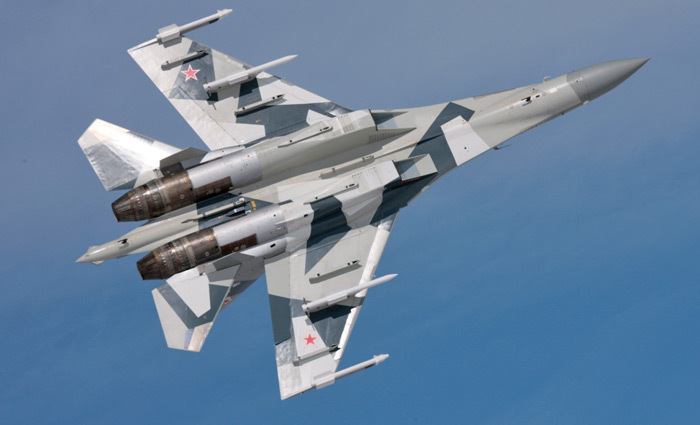 The Su-35S has crucial improvements on its electronics, airframe and engines. 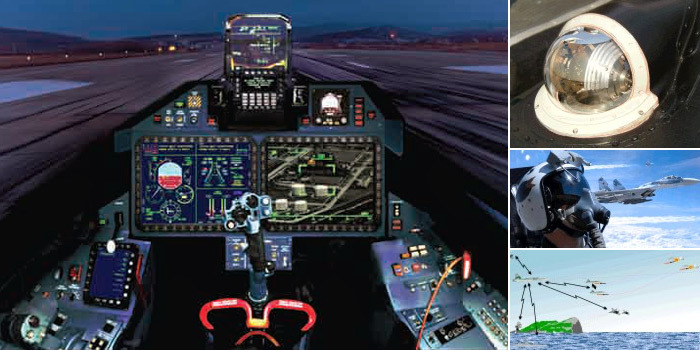 It has full digital fly-by-wire flight control system and integrated all-aspect thrust vectoring nozzles. 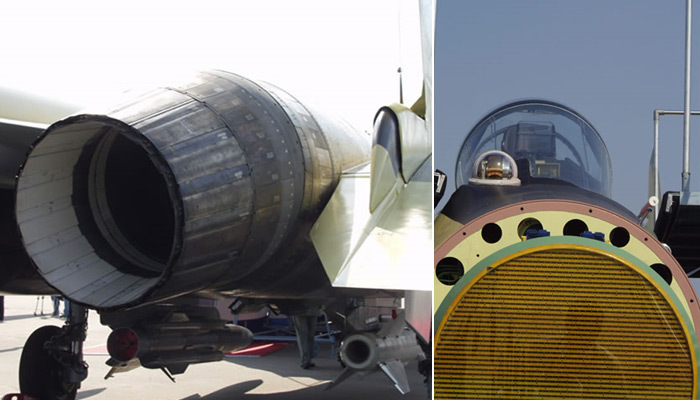 These capabilities rendered the small canards redundant and by eliminating them (and the airbrake) there is the benefit of reduced drag and smaller radar cross-section. Further RCS improvements include the electro-conductive canopy coating and the use of radar absorbing materials in various places. The engines are the latest -117S version of NPO Saturn’s Al-31. They have as mentioned a 2-axis vectoring nozzle and also 4.000h of lifespan. 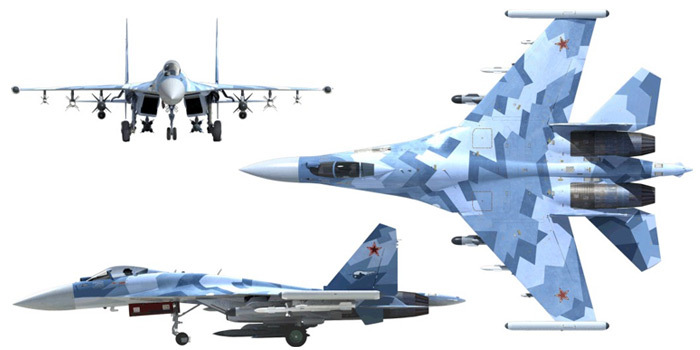 To achieve these goals the Su-35 is equipped with an electronically scanned array Irbis-E radar (although not active like some of its competitors) made by Tikhomirov NIIP. It is also equipped with a revised and improved electronics and avionics suite with new electro-optical sensors, ECM, large format color displays in the cockpit, HMS and other systems. 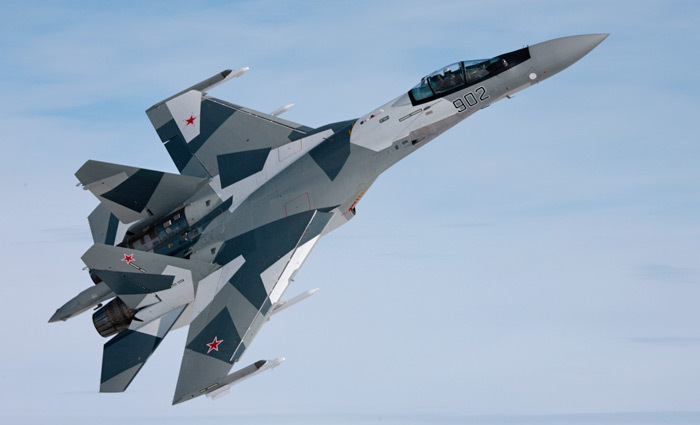 The Russian Air Force will receive 48 Su-35S. 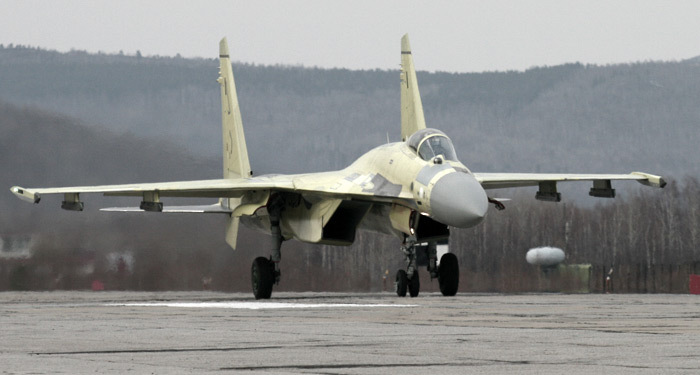 Other orders may follow depending on export sales, further replacement needs of the Russian air force fleet and also possible delays of next-generation PAK-FA fighters. F-35B - first hover and full STOVL flights!